CLOSING: All playing must finish 5 minutes before closing time. OPEN PLAY: A playing session usually begins with a warm up, followed by a 11-point 'Best of 7' match. When there is a challenger at the table, warm-up time is limited to 3 minutes, followed by a 11-point 'Best of 5' match. If two players elect to practice instead of playing a match, both must vacate the table after 20 minutes (including warm-up time). If there is only one challenger, the winner will stay. HOW TO CHALLENGE: If all tables are occupied, the newly arrived player can challenge or stake their claim to play by placing their paddle next to the chosen table. By the same token, a player who is currently playing at a table cannot challenge to play at another table at the same time. THREE MATCH RULE: When there are two or more challengers at the table at the beginning of a match, the winner of 3 consecutive matches and the loser must both vacate the table for the first two challengers. EQUIPMENT & FACILITY: Players will be held responsible if they damage any equipment belonging to the Club. Players are not to lean on, sit on or strike the tables. Purposeful damage to the Club’s equipment may result in expulsion and loss of membership. Smoking, gambling, weapons, alcohol is strictly not permitted in the club facility. No food or drinks are permitted in the playing areas. All players are expected to clear up their personal belongings/trash from the playing area after a session. BEHAVIOR: All players must conduct themselves in a sportsman-like manner. Loud or offensive language will not be tolerated. Players are expected to be courteous and polite. It is customary to shake hands or do a high/low five after a game. 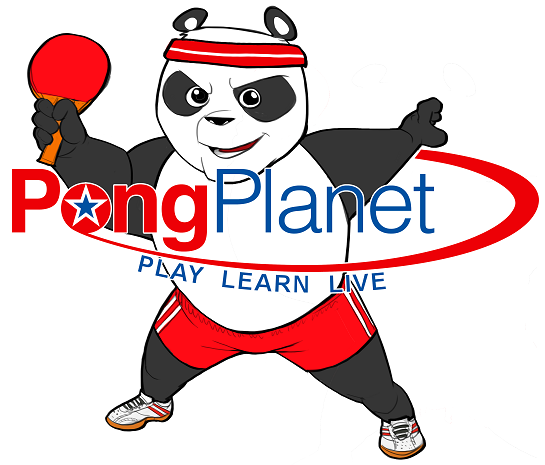 More proficient players are expected to help and encourage newcomers to enjoy, understand, and better play the sport of table tennis. Players should have the courtesy of helping to pick up stray balls and returning them to ball containers. CANCELLATIONS/REFUNDS: The Club has a 'No Refund' policy for all the programs and memberships offered. In the case of scheduled Private Lessons, the Club requires a 24-hour notice for cancellation in order to receive a full refund. Less than 24-hour notice will automatically result in a 50% refund. Missed Group Lessons are not eligible for refunds or rain-checks. ENFORCEMENT: The Club has the right to reserve/assign certain number of tables for Training, Coaching, Club tournament or special events. The Club Director and members/staff are authorized to enforce the Club rules and code of conduct. Any violation gives the Club the right to refuse service to the player or ask them to leave the facility immediately or suspend their membership. No refunds will be given to suspended players. © 2016 PongPlanet LLC. All rights reserved.